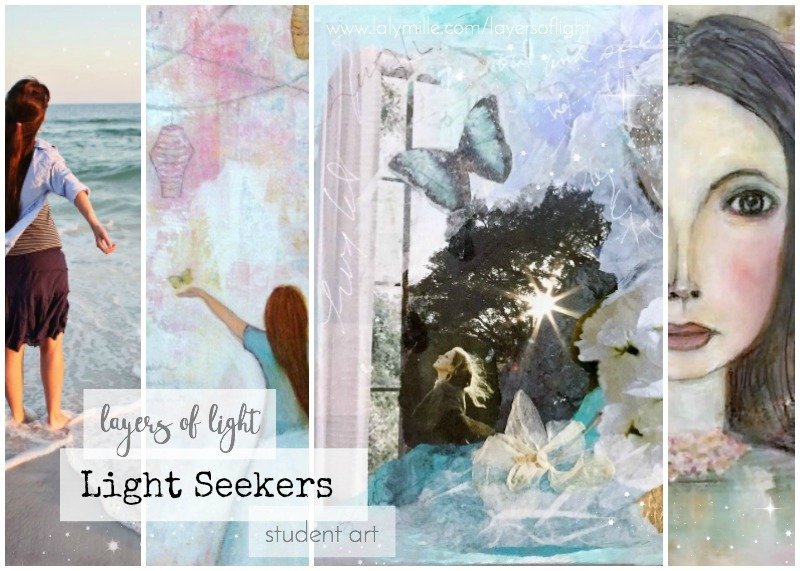 Student art from Lesson 1 "Your natural Light"
Student art from Lesson 2 "Embracing Contrast"
2 minutes collage, photography and mixed media paintings by (from top left): Rana Wilson, Kathy Mc Gowan, Wind Gypsy, Ivy Newport, Chris Burton and D Loren Prince. 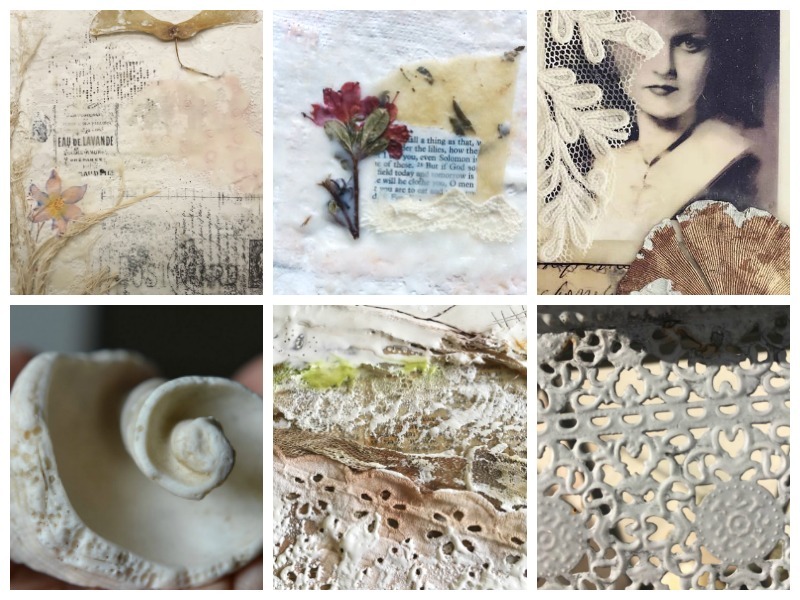 Student art from Lesson 3 "Catching Light with Texture"
Encaustic art and photography by (from top left): Freya Perry, Carol Macdonald, Janet Reid, Denise Kozikowski, Géraldine Deleuze and Sophie Kerdellant. From to left: Chris Burton, Janet Reid, Géraldine Deleuze, Freya Perry, Sabyne Alain, Tina DeFrenza Kasten‎, Rana Wilson‎, Jeni Fiske‎ and Sophie Kerdellant‎. From top left: Claudia Lauro‎, Judy Groves‎, Margaret Cole, Sandy King‎, ‎Margaret Cole‎, Chris Burton‎, Géraldine Deleuze, D Loren Prince‎ and Julie Clay.